Adapt or die: it's nature's most famous imperative. But how does evolution actually happen? It's too slow to see, but it's going on all around you, all the time. Even if you're on top of the key terms - variation? Natural selection? Parent-offspring conflict? - you still need some context to put them in. 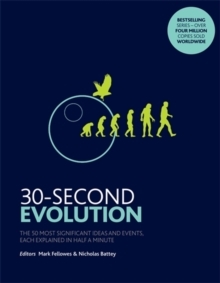 From populations to speciation and polymorphism to evolutionary psychology, here's the one-stop source for all you need to know. 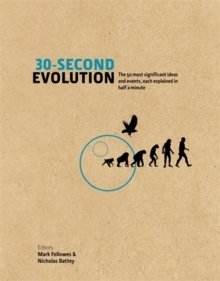 Evolution unlocks the laboratory of life, dissecting it into the 50 most significant topics that provide the missing links to understand the natural world's four-billion-year ancestry and the process of natural selection in which species either adapt in myriad ways - mutation, ingenuity, and intelligence - to meet the challenges of a changing environment, or die. 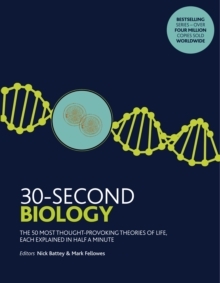 Unravel the development of living organisms, at micro and macro level - from genes to geniuses.